Alex Harrell represents businesses and individuals in complex litigation matters, ranging from simple negligence actions to complex intellectual property and employment disputes. He has a broad litigation background and significant experience assisting employers with drafting and enforcing restrictive covenants, such as non-compete agreements. His work in the employment sphere often intersects with intellectual property, as he counsels employers and employees in drafting agreements, policies and procedures designed to safeguard their ideas and work. Alex also has extensive experience prosecuting and defending trade secrets lawsuits. For example, as lead trial counsel, Alex obtained a take-nothing verdict for a galvanizing start-up and its principal officer in a multi-million dollar misappropriation of trade secrets action brought by the largest galvanizing company in North America. 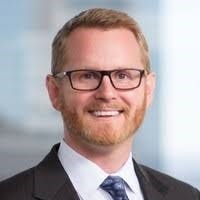 Alex is a member of the Trade Secrets Committee of the Intellectual Property Section of the State Bar of Texas, which actively monitors federal and state statutes and judicial decisions relating to the protection of trade secrets and engages in other initiatives related to trade secret law. As part of a working group formed in 2016, he helped formulate recommendations for potential revisions and amendments to the Texas Uniform Trade Secrets Act. The working group’s recommendations were ultimately incorporated into a bill that was passed unanimously by both houses of the legislature, signed by the governor into law, and enacted effective September 1, 2017. Alex is licensed to practice in all state and federal courts in Texas and Colorado.